Whether you prefer quiet beach time or cultural adventures, you won't be disappointed with any of these top five honeymoon destinations in Asia. More of a party scene, the popular Kuta beach isn't exactly romantic. Instead, head for one of the other beaches in South Bali such as Sanur, Legian, or Seminyak. Once you've had enough beach time, you'll find peace, a great vibe, and plenty of green scenery in Ubud, Bali's cultural center. See more incredible places to visit in Indonesia. Find the cheapest flights to Bali. See a Bali packing list before you go. Check TripAdvisor's best deals for hotels in Bali. If you prefer small islands, have a look at tiny Koh Lipe on the Phuket side of Thailand. 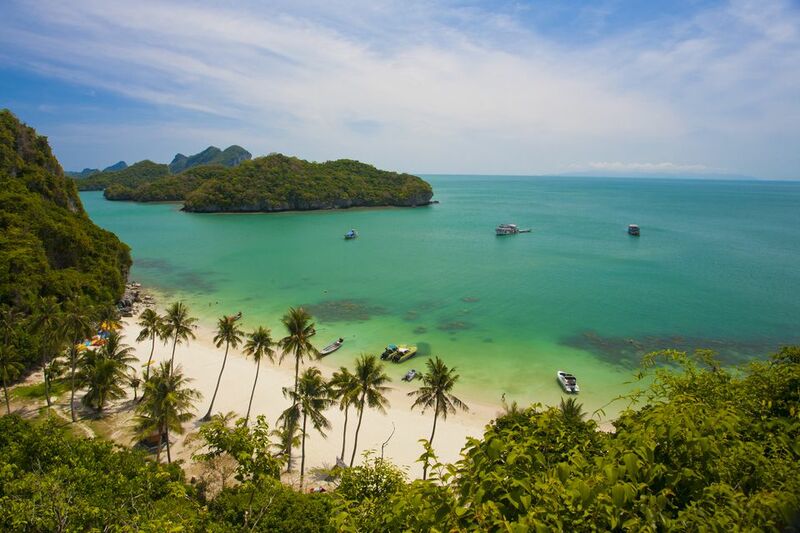 Otherwise, consider Koh Lanta, Koh Samui, or some of the quiet bays dotted around the north of Koh Phangan, especially the famous Sanctuary health retreat. If things get a little too quiet on the island, you can always take a boat to Haad Rin to dance until sunrise with your partner! Get help with planning your first Thailand vacation. See how much money you need for Thailand. Check TripAdvisor's best deals for hotels in Bangkok. There is simply no other way to put it: Borneo is a nature lover's paradise. One of only two places left in the world to see wild orangutans, you can divide your time in Borneo between searching for wildlife on rainforest treks, exploring waterfalls in national parks, and lying on undeveloped beaches. Flights to Borneo from Kuala Lumpur are cheap, often even up to the last minute! Borneo is divided into two states, Sarawak and Sabah, that are separated by the independent country of Brunei. Sarawak is quieter, cheaper, and less busy than the northern state of Sabah, while East Sabah boasts incredible scuba diving and natural attractions. You'll find plenty of wild beauty and friendly local culture in both places. Kuching in Sarawak is a clean, romantic city with a river waterfront. Check TripAdvisor's best deals for hotels in Kuala Lumpur. Find out where is Sri Lanka? Read about Unawatuna, the most popular beach in Sri Lanka. Choose between these top four Sri Lanka beaches. See guest reviews and compare prices for hotels in Sri Lanka on TripAdvisor. Not far from India, the island nation known as the Maldives is Asia's smallest country, both by population and land mass. A lack of space doesn't stop the Maldives from attracting an estimated 600,000 annual tourists who come to take advantage of the incredible island beauty and world-class scuba diving. Floating bungalows and honeymoon resorts set on some of the bluest water you have ever encountered will make you and your new spouse want to stay forever. Male is the capital, largest city, and usual port of entry for visiting the Maldives. While the beauty of the islands is breathtaking, a honeymoon in the Maldives will cost significantly more than one in the Thai islands. See more about travel to the Maldives. TripAdvisor's best deals for hotels in the Maldives.